Where: Ropewalk Street, Kala Ghoda, Colaba. Their sabudana vada and Dahi Misal are a foodie’s delight. Q: How can I make the most of Mumbai in just one day? A: Mumbai is eye-wideningly huge. It’s got 19 million people—and counting. It’s India’s largest and the world’s sixth largest city. And it’s got a whole year’s worth of things for you to see and do. So, keeping just one day for Mumbai is like picking an olive off a family sized Margherita pizza! BUT. TS intern Sarita Santoshini is a Mumbai local, and a smart one at that. Hold her hand and off you go! 7 am: Hire a cycle! They open at 6:30 AM and insist you knock the shutter if you find them closed. Ride around the empty morning streets of Colaba and onwards to the Gateway of India or Worli Seaface to NCPA on Sunday. 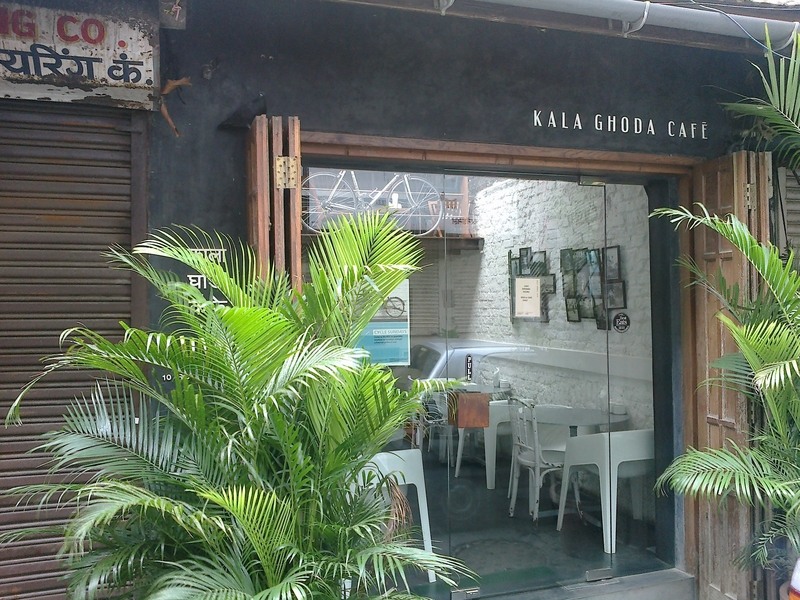 Option 1: With Rs.200 to spend, Kala Ghoda Café is the place to go for a Veg Morjim sandwich and a glass of fresh orange juice or Waffle with chocolate sauce and maple syrup. Where: Ropewalk Street, Kala Ghoda – Colaba. Option 2: Prakash. Their Sabudana vada and Dahi Misal is a foodie’s delight. Where: Shiv Sena Bhavan, Next to Kithe Hall, Gokhale Road, Shivaji Park, Dadar West. Option 3: For Pineapple Sheera worth Rs.35, plate of Idlis worth Rs.20 and filter coffee worth Rs. 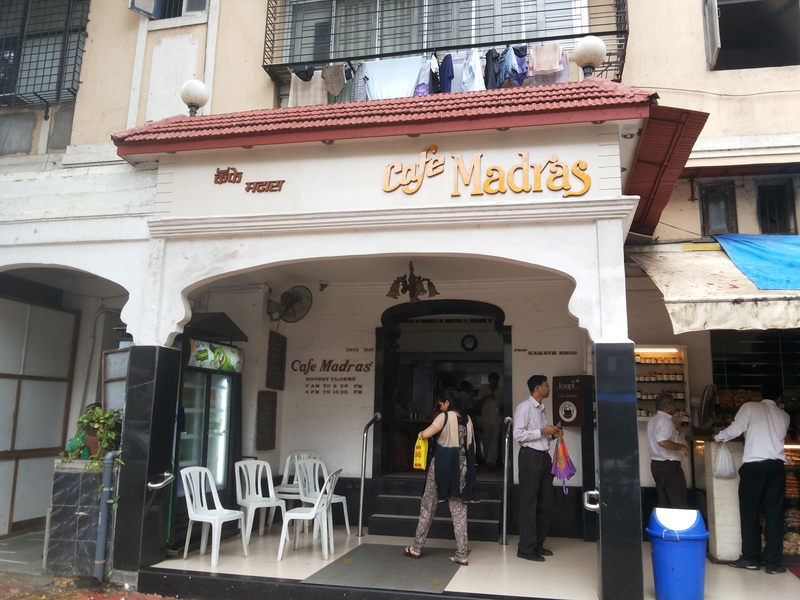 15 – Café Madras is the place to go for an authentic south Indian breakfast. Travel Smart: Get a one day BEST bus pass at Rs. 70 which is valid for travel across the city. Option 1: Chor Bazaar – Open from Saturdays to Thursdays, this market is a shopaholic’s paradise. We suggest you get there as soon as the shops open at 11 am. Where: Get down at Grant Road (East) and take a cab. You’ll easily locate the market between S V Patel and Maulana Shaukat Ali Road. Option 2: Bassein Fort in Vasai is a great option for a getaway from the city. The Portuguese buildings in ruin, chapels, and greenery around are all worth a visit. Where: After taking a Virar local and getting down at the Vasai station, you can take a bus which is available every half an hour and charges Rs.7 for a ticket. . Taste of Kerala is popular among students and professionals alike, for its authentic food that you could savor for hours without drilling a hole in your pocket. Try the Chicken Chettiandu for Rs. 123 and the Pomfret Masala. Where: 6/A, Prospect Chambers Annex, Pitha Street, Near City Bank, Fort, Mumbai. Option 1: Even if you are 300 bucks rich, you could head to Hiranandani Gardens in Powai. Forget the post lunch nap – Go Karting, Paintballing, Zorbing, Dirt Biking and Mini Golf are the many things you could do here. Option 2: Leaping Windows Café and Comic Library is THE place to be for every comic and graphic novel lover. You could stretch away in the small library at Rs. 30 an hour. Where: Corner View, Opposite Bianca Towers, Versova, Andheri West. Option 1: If you are a tea lover and want to experiment with flavors, Tea Centre is the place to go. You could try the Masala Chai for Rs. 50 or Apple Butter Tea for Rs. 124. Where: Resham Bhavan, 78, Veer Nariman Road, Churchgate. Option 2: Yazdani Bakery offers you Brun Maska and Chai for Rs. 30 and mouth watering Apple Pie for Rs. 50. Head to the MTDC Information & Booking Counter at Gateway of India during the weekend and you could take a one hour ride in an Open Deck Bus either at 7 pm or 8:15 pm. At Rs. 120, you could experience the perfect ride around the heritage centers of South Mumbai. Option 1: Shows at Prithvi Theatre are for only Rs. 80 on Tuesdays and Wednesdays. Once there, be sure to tuck into one of the many delights at Prithvi Café, that plenty of theater-goers and others swear by. Option 2: Karaoke Nights with friends are always fun. We suggest you head to either Soul Fry on Mondays or to Soul Fry Casa on Saturdays – both guarantee good music. Where: Soul Fry Casa, 111-A, Currimjee Bldg, MG Rd, Opposite Mumbai University, Fort. Soul Fry Silver Croft, Pali Mala Road, Bandra West. Café Universal that dates back to 1921 is still a lesser known restaurant in Mumbai. We suggest you head there to take in some old world charm and sip your draught beer worth Rs. 80 with Grilled Chicken or the Fish Sizzler while at it, both the dishes being totally worth the price. The menu is extensive and gives you plenty of options. Where: 299, Shahid Bhagat Singh Road, Fort, Mumbai. 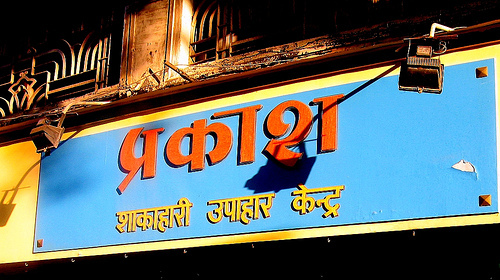 Option 1: Whether a paan lover or not, Muchhad Paan wala is one place you must go to for the Sweet Paan or the Ice Paan. Where: Opposite St.Stephens Church, Near Oomer Park, Bhulabhai Desai Road, Breach Candy. Option 2: We believe no dessert or ice cream beats the legendary Gola. Head to the nearest beach and try either the most loved Kala Khatta or Milkmaid Gola. You could go to the famous Gola wala opposite the stretch of Marine drive. Situated a little after Girgaum Chaupati, the crowd around the stall will help you spot it. Juhu Beach has great Gola stalls too, that remain open till late hours at night.